The videos are of large size. It is better to download them to a local disk and then watch from the disk. To do this, right-click on the link and save. Alternatively, download the archived version and uncompress. This protects from transmission errors. 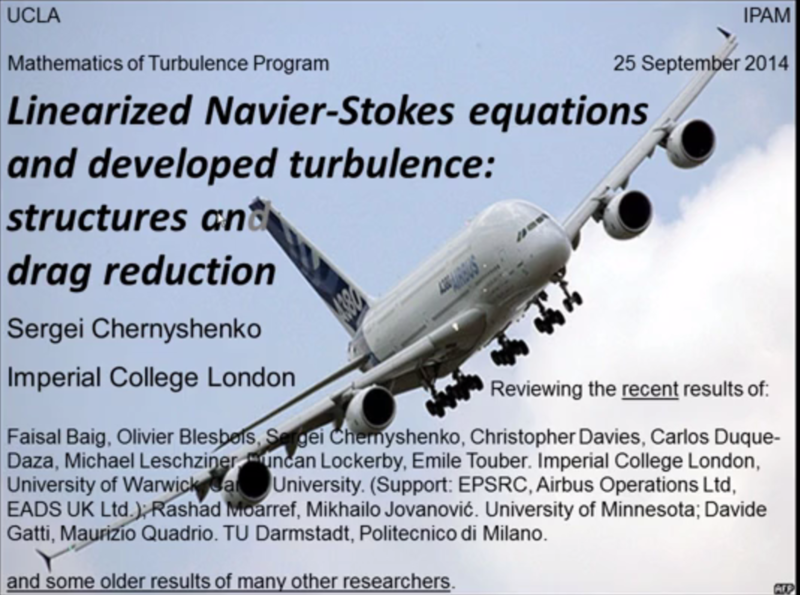 A record of an earlier talk on this topic is available from the website of Workshop IV: Turbulence in Engineering Applications, Long Program Mathematics of Turbulence, IPAM 2014.. While short (4-month), these are actual research projects, with students taking over year after year from one another and carrying on the research from the point where the previous student stopped. 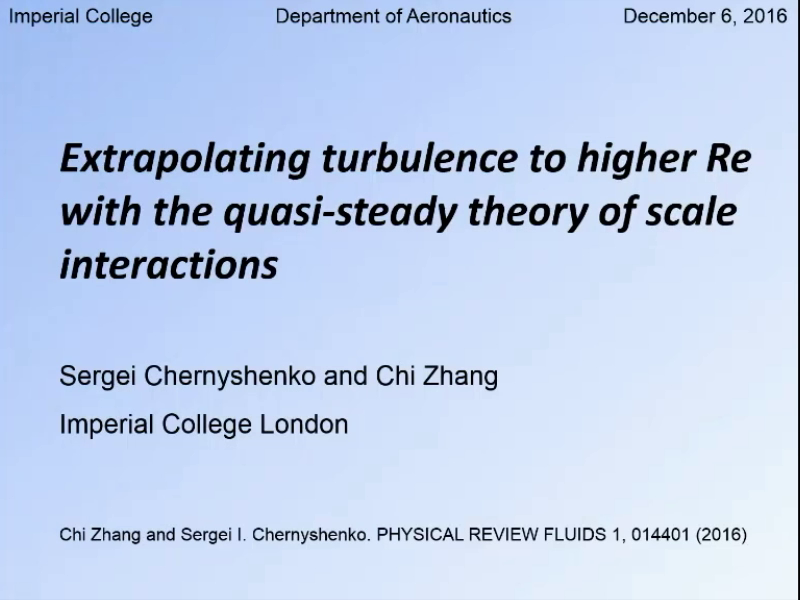 Download the video of the latest presentation (114Mb). Alternatively, download the archived version from here. These leaflets are now outdated. They show how my views and interests evolved. Application of the polynomial Sum-Of-Squares (SOS) approach in fluid dynamics. 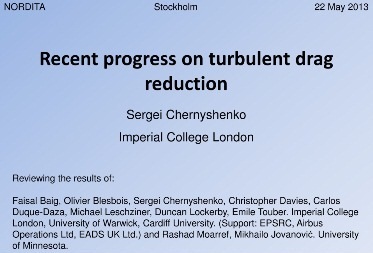 Organised structures and drag reduction in turbulent flows. Control of separated flows in vortex cells.